When it comes to fake tanning, I'm usually the one too scared to try out heavy duty wash off tans and too uncoordinated to get gradual tans to look not streaky. 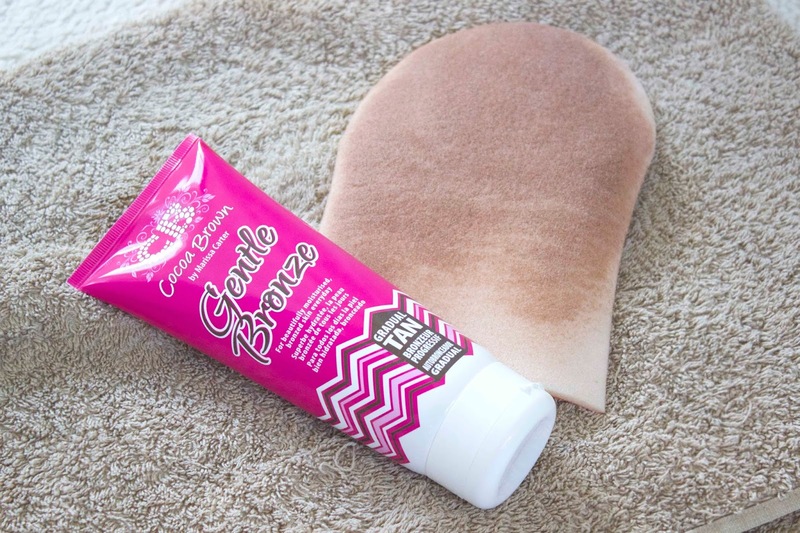 That being said, I received the Cocoa Brown Gentle Bronze tan in a goodie bag from a blogger event a few weeks ago and thought I'd give it a try, what's the worst that could have happened? 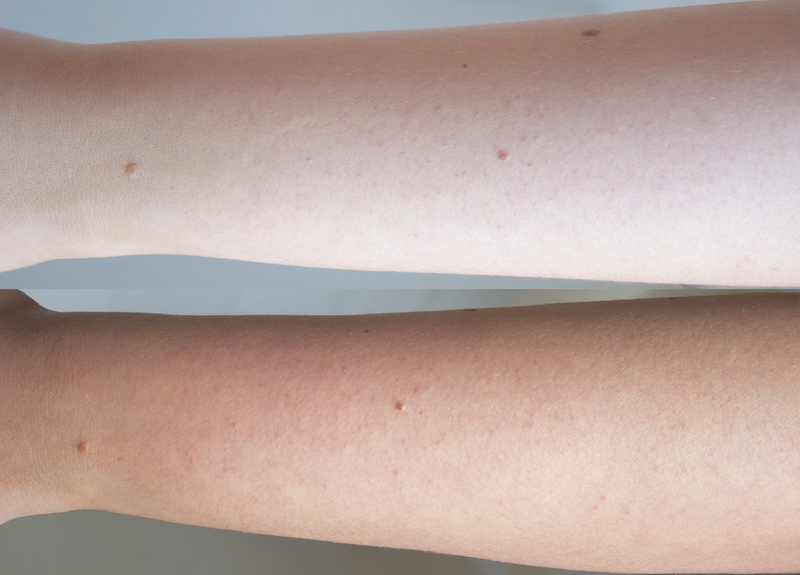 Now it markets itself as a gradual tanner that you can use everyday so I followed this guide and applied the tan after exfoliating thoroughly in the shower first. I woke up the next day with the most perfect sunkissed tan I'd ever seen and so was slightly dubious as to applying another layer. I did though and the next day admittedly, I woke up slightly resembling an oompa loompa. For me I've found that this tan works best applied once every other day (usually after I've had a long shower) leaving me with the perfect natural looking tan. As for the application, I use a standard hand mit (this one is from Primark) to apply and the good thing about the Gentle Bronze is that it comes out of the tube brown so you can see exactly where you have and haven't tanned. I just apply a generous amount to each section of my body that I want tanned, leave it for a few minutes and then it's done. I do also apply this to my face and I've found it hasn't broken me out at all so that's an added bonus. I like to apply it at night so that when I wake up the tan has fully developed. With tans, the biscuit scent doesn't actually bother me at all, I actually quite like it but with this tanner it smells like more of a coconut/biscuit scent to me, it's pretty non-obtrusive though so I wouldn't let this put you off. Overall, I'd highly recommend the Cocoa Brown Gentle Bronze to anyone looking for a natural but still noticeable looking tan. It's easy to apply, lasts a long time on the skin and doesn't go streaky or patchy in my experience. I don't think I have a bad thing to say about it. It's also a bargain in my eyes at around £5.99 and can be bought from Superdrug, Primark, Tesco and Feel Unique. I couldn't agree with you more, it's fab!